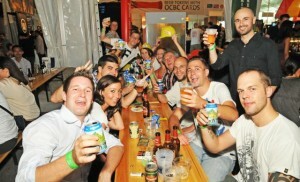 Beerfest Asia is an annual event for beer enthusiasts in Singapore and the neighbouring region. The 5th edition will showcase different selection of beers and other beverage. This event will surely be “heaven on earth” for beer and beverage enthusiasts. The event is prepared by Beerfest Pte Ltd. Beer and beverage enthusiasts should expect more than 300 types of beers from around the world with live performances and comedy club. Not only that, the fest will also conduct tasting training and beer or beverage sale. In fact, if you are inspired to make your own beer, you can purchase a kit and home brew your own beer. You can also see and experience an actual brewing or process in their Craft Beer Experience section where brewers can walk you through the actual brewing process. 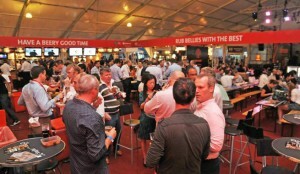 Where: The Beerfest will be held at Marina bay Street Circuit. The setting is perfect because you can see the F1 tracks and the Singapore Flyer. Restrictions: The fest is for people 18 years older. It is strictly R18. Tickets: You should buy tickets soon before it is too late. For 1-day standard pass on June 13 or June 15, it will cost you S$30.00. For a standard pass on June 14 or June 15, it will cost you S$40.00. For four-day pass, you will pay S$80.00. VIP pass on June 13 or June 16 will costs S$130.00 and VIP pass on June 14 or June 15 costs S$180.00. Festival + Comedy combo on June 13 or June 16 costs S$40.00 and Festival and Comedy combo on June 14 or June 15 costs S$50.00.